It’s the last day of the 4 Weeks to Fill Your Freezer series over at Money Saving Mom. I’ve had a great time filling up my freezer with all kinds of goodies, which have come in handy a time or two already! 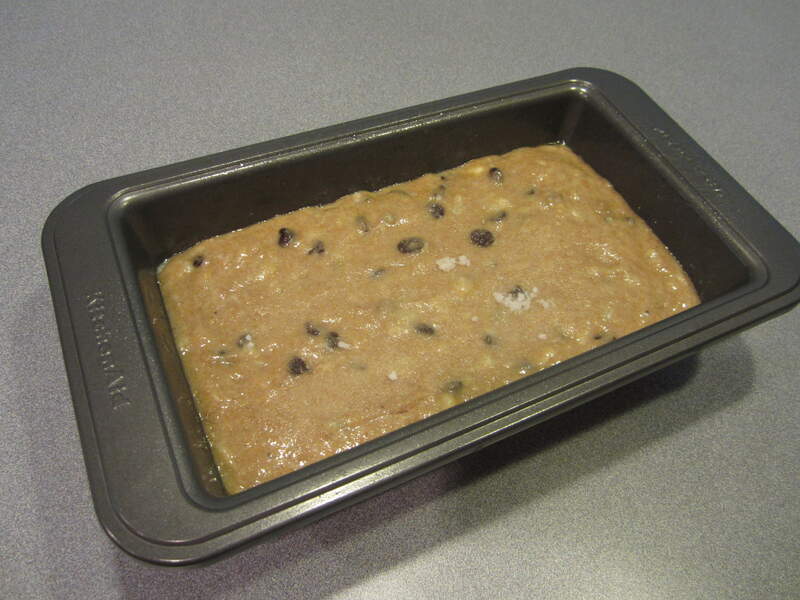 Today I decided to make Crystal’s Whole Wheat Chocolate Chip Banana Bread. We also love the Chocolate Banana Bread that was on the menu, but I just made that a couple of weeks ago, so I decided to do something a bit different. 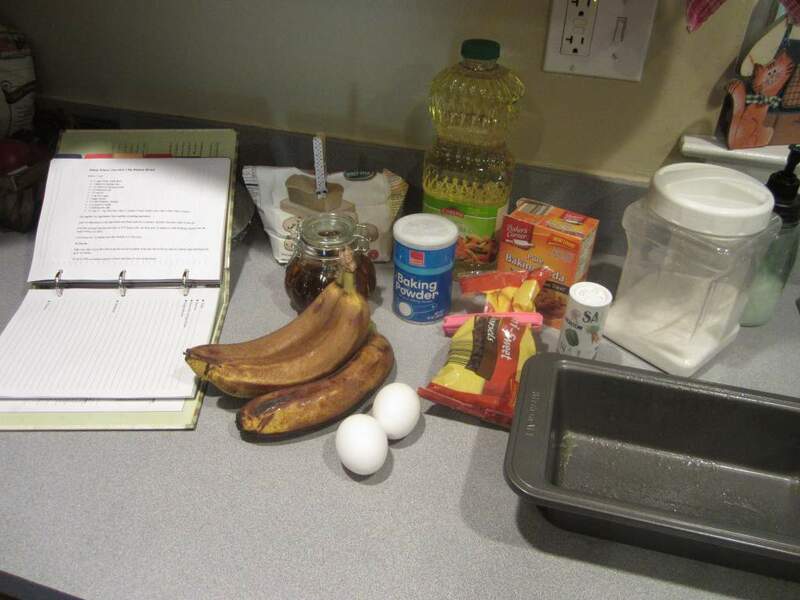 I gathered all my ingredients together and mixed up the banana bread right after lunch. I only have one bread pan, and only had 3 ripe bananas on hand, so I just made one loaf today. I really need to invest in some more bake ware! 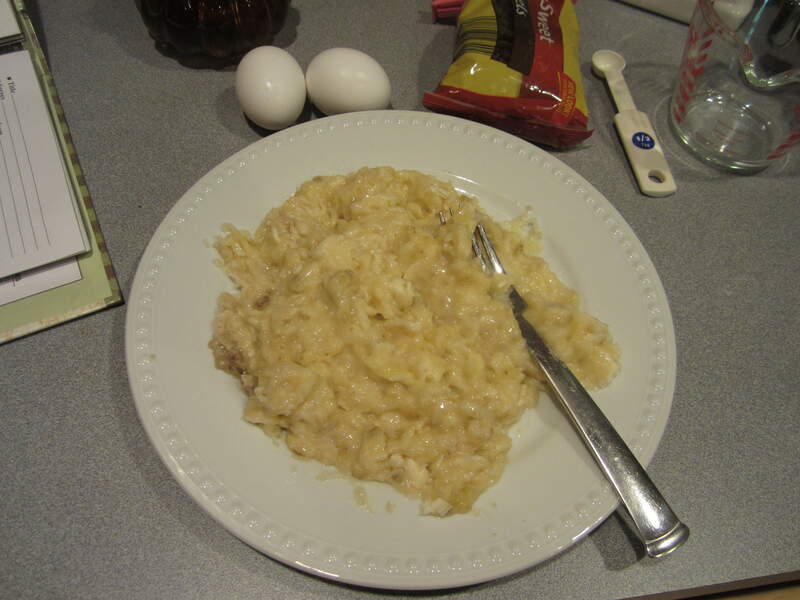 I mashed the bananas with a fork on a large plate. I find that a fork makes quick work of it. The recipe doesn’t call for it, but I sprinkled about a teaspoon of sugar on top of the batter to make a nice crispy crust on top. 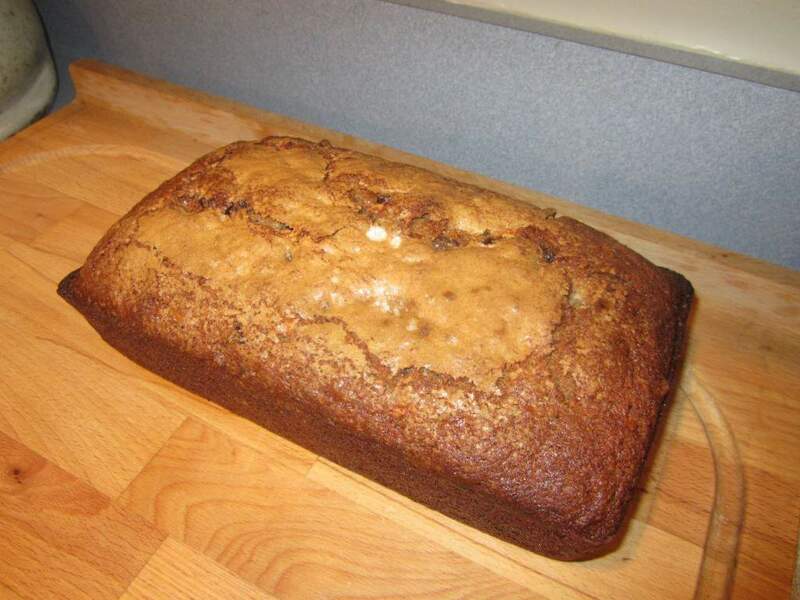 I saw that in another recipe for banana bread from America’s Test Kitchen and it is a really nice finishing touch. I checked the bread after about an hour (the recipe says 1 hour, 15 minutes) and it was done. 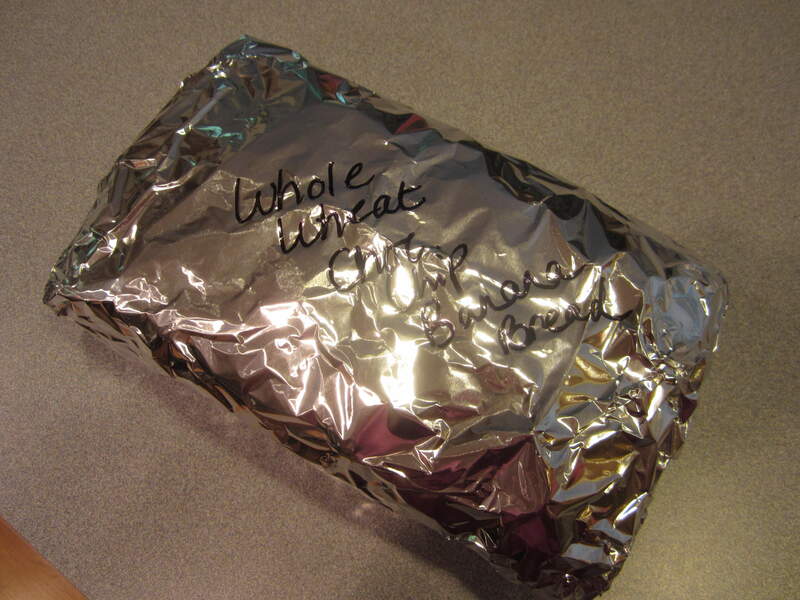 After it cooled completely, I sliced it, wrapped it in a layer of plastic wrap and then a layer of foil. Did you make anything for your freezer today? I made chocolate zucchini bread today. I did not have enough bananas to make the banana bread so I thought I would just substitute the frozen zucchini in for the bananas. It looks great but we did not try any tonight as we still have some pumpkin chocolate chips muffins out from last night.